Ad astra, per aspera. "Through hardships to the stars." We've finally done it. Our Civilization has finally broken the chains of history and gone to the stars. Lo, how those digital stars sparkle. 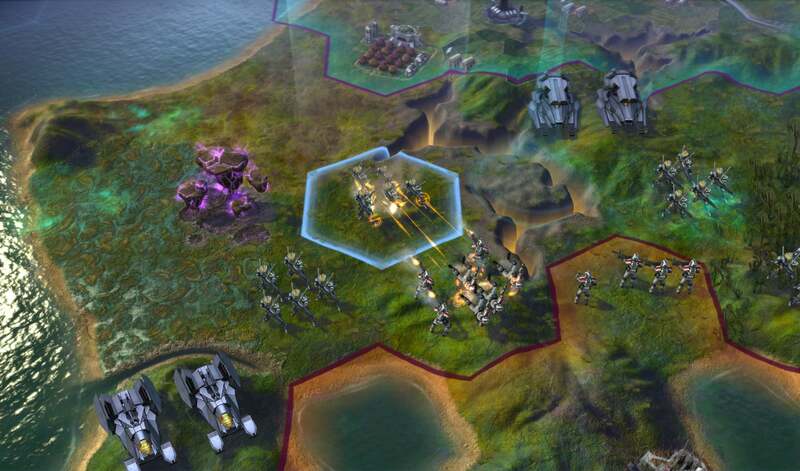 I got my hands on an early build of the latest Civilization game, "Beyond Earth," which brings the longstanding 4X series to outer space. No, it's absolutely not Alpha Centauri. Seriously, it's not. Forget that Sid Meier helmed both games, and that Alpha Centauri was basically Civilization in Space. It's not Alpha Centauri. Because then 2k would be sued. Okay, did all the lawyers stop reading? Great. 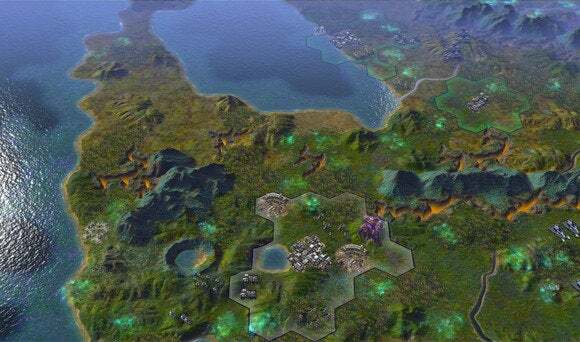 Civilization: Beyond Earth is basically a sequel to Alpha Centauri—a "spiritual successor," let's say. There's not much to prevent people from making the inevitable comparisons. While the 4x genre has evolved in the fifteen years since Alpha Centauri's release, it hasn't evolved that much. You could go play Alpha Centauri right this moment and outside of cringing at the outdated interface and the square tiles (seriously, how did we live without hex-based maps for so long? ), you'd probably be able to hold your own. So if Alpha Centauri was Sid Meier and Co. making Civilization II in space, Beyond Earth is Sid Meier and Co. making Civilization V in space. It's an oversimplification, perhaps, but not by much. 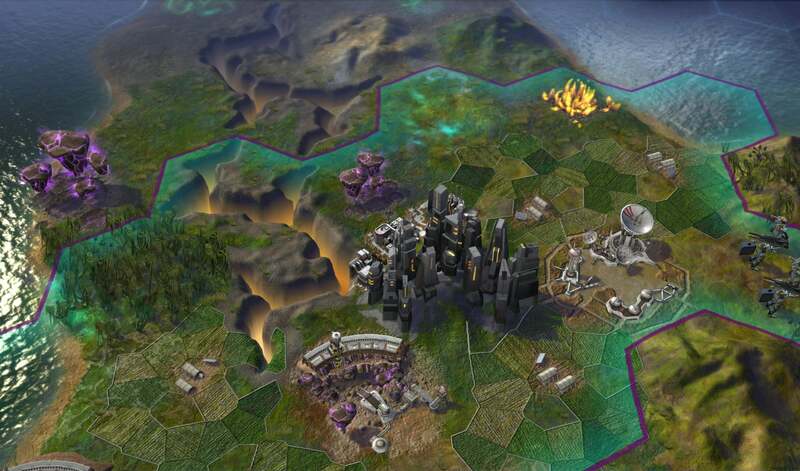 If you feel comfortable with Civilization V, you'll feel comfortable with Beyond Earth's hex-based maps and one-unit-per-tile combat. I played through the first 55 turns of Beyond Earth—otherwise known as the "barely anything is happening" phase—but it was enough to hit on a few observations. The biggest change: There are two maps to pay attention to simultaneously. Most of the action plays out on the planet's surface, like a normal Civ game, but there's also an "orbital layer" where you'll direct satellites and the like. I assume there will be orbital weapons in later builds, but all we were shown was a satellite that buffs ground troops. The traditional "tech tree" is also gone, replaced with a "tech web." Technologies towards the center of the web are grounded in near-future developments or even current fields like biology, chemistry, et cetera. Expand toward the fringes of the (very large) web and you'll find speculative technology and the realms of science fiction. Additionally, each technology on the web is accompanied by sub-technologies, giving you more room to specialize in a given field. That's how they git you. They're under the ground! Where Civilization V has neutral tribes and independent city-states on the map, Beyond Earth has roaming alien life-forms. 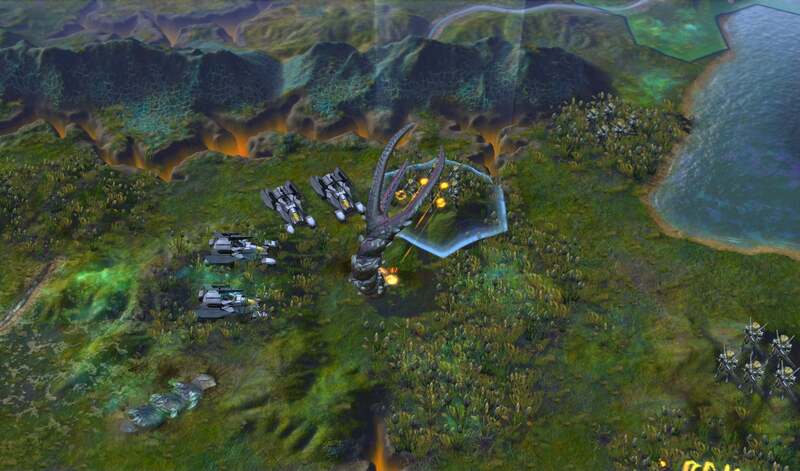 As a Civilization veteran your first instinct may be "I have to kill all these organisms." Mine certainly was. This is absolutely a mistake. These aliens are not automatically hostile, and will utterly destroy and overwhelm your troops with sheer numbers in the early game. Later in the game the developers say you'll be able to harness these aliens. The most obnoxious aliens are the Seige Worms: Large, drill-like worms a la "Dune" that completely wreck any tile improvements you've built. There are three primary alignments in the game—Purity, Harmony, and Supremacy. You'll edge towards these affinities through the technologies you research, and ultimately this will affect your win conditions each game. Those who follow "Purity" believe humanity is best preserved by turning this new planet into Earth, through terraforming and the like. "Harmony" followers hope instead to live in symbiosis with the new planet's life-forms. Those on the path to "Supremacy" think it's foolish to be tied down to a single planet, and hope to conquer humanity's own weaknesses and form a global empire. Yes, "kill them all" is still a valid victory tactic. Each affinity has its own long-term project for a win condition. Supremacy, the most militaristic win condition, requires eventually going back and conquering the Earth you left behind. Purity players will instead bring Earth's population to this new, terraformed planet. Harmony followers will merge with the planet and create a planet-wide consciousness. Then there are the two other non-alignment win conditions. The "Contact" ending involves unraveling the history of the planet's former inhabitants and, like a futuristic Jodie Foster, bringing humanity in touch with the aliens. And no Civilization game would be complete without the option to just wipe every other faction off the face of the planet, you warmongering monster. 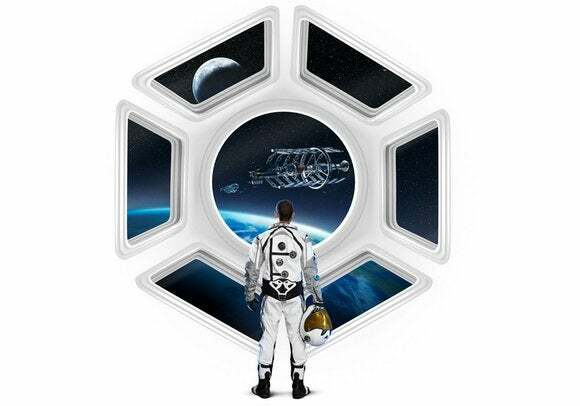 Beyond Earth attempts to guide you through the game more than past titles, using an overhauled dynamic quest system. I didn't see much beyond the basics in my 55 turns—mostly just "Try to get a unit to this square and see what happens!" type quests—but Firaxis promises it will react to how you're playing and try to both guide you down your current path and prompt you to explore other possibilities. Also, it's apparently an incredibly moddable system, and the developers said they're "excited to see what fans do." So here we are, back where we started: It all looks like Civilization. But in space. Exactly like you expected. It's hard to get a real feel for a 4X game with only 55 turns—I'd barely researched four technologies when my time with the game was up. Even in 55 turns, however, our room full of journalists had already gone down wildly different paths. I'd given up on forming an army and focused on production. Another journalist in my group had built up an entire legion of troops and marched on the nearest city already. It's a 4X game. It's a Civilization game. We might be "Beyond Earth," but we're definitely not beyond the tropes of the genre—not yet, anyway. I expect you already know whether this type of game will appeal to you, and can (barring any technical disasters or unforeseen development issues) plan accordingly.